Well, I didn’t think i’d be doing this! The thought of sharing my life with the world via a medium like blogging was (and still is) a little alien to me. I am an 80s child. I grew up writing the old- fashioned way, diaries, and such like. Facebook was a glint in Mark Zuckerberg’s Dad’s eye. I remember the Sega Mastersystem my sister brought home was like something from ‘Brave New World’ and the old Atari was never dusted off again. Poor ‘Pong’. Yet, here I am. I am writing due to a series of events that led me to the point where I knew I wanted to share and develop my ideas, passions and interests with others and benefit from the fuzziness of collaboration. I am a team-player, but, like doing quite solitary things. So, I love to read novels, write fiction, crochet, create beautiful things for my home, bake, garden and generally create. I also want to discover more about what makes my heart sing- a phrase I picked up from an inspirational speaker last year. The context being, if we are looking for the right path to take then a good place to start is with what makes the heart sing, in other words, the things that give us that lift, the fluttery, excited, noone get in my way “i’m doing this feeling”. Since I have had my two children I am way more aware of how to tap into things to make my heart float, as time for myself has become a premium, I don’t want to spend it zombied out in front of the box watching repeats or on ahem…Facebook. I want to make it count. I want room to find my creative paths. Some of these glorious past-times are incredibly fulfilling, rewarding and relaxing, but, would be infinitely better if they could be shared and enjoyed with others. To me, the book-group concept is the perfect illustration of this. To get the pleasure of cutting off from the world with a great novel, taken off to another world in a calm, solitary blissfulness, yet, you can come back again and dissect it all with others who have been there too! That’s my ideal. Indeed, i’ve decided 2015 is going to be ‘my year’. I have made some resolutions…1. Start a blog (da, da) 2. Write more (I am working on a number of stories for children but paradoxically having children makes it near on impossible to find the time to write anything for them) 3. Join a ‘good’ book group (i’ll tell you about my book group disasters later!) 4. Finish my first crochet blanket (fair-play to 2014 it brought crochet into my world). 5. 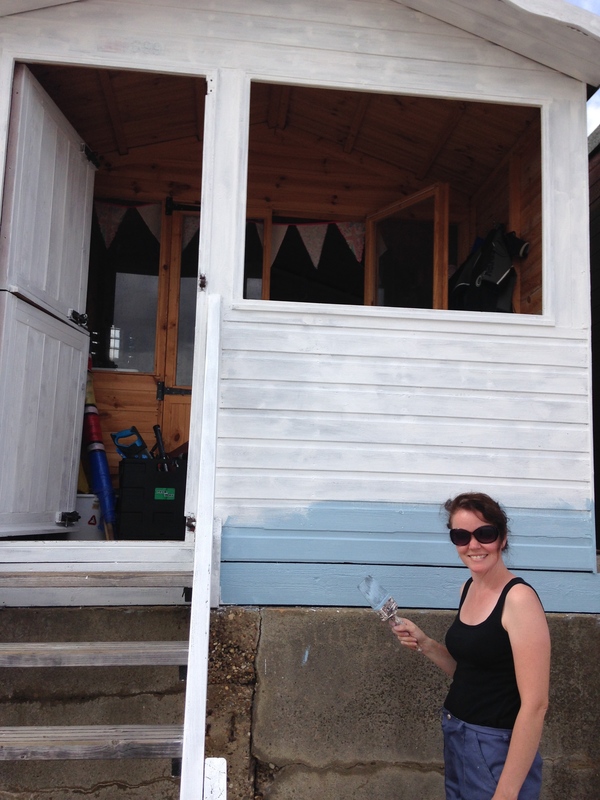 Enjoy my time at our much desired, much coveted, picture-perfect, blue and white beach hut on the south-east coast. (I haven’t enjoyed it fully up to now, of which i’ll be telling you more about later too). So, with one resolution now in the bag and feeling a little bit smug… i’ll leave you with a quote that sums up the reason for my new season… Do what you love. Do what makes your heart sing and never do it for the money. Go to work and spread joy -Marianne Williamson – ‘Return to Love’. Next Article 2014 -hindsight is a wonderful thing!